They say it takes a village to raise a child. 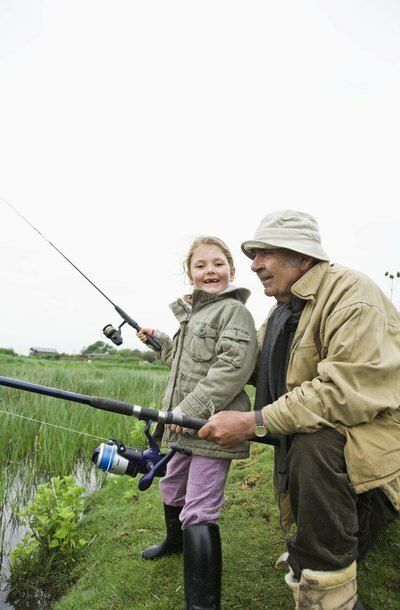 Today, grandparents are often deeply involved in taking care of their grandchildren. But when a child needs medical attention while under his grandparents' care, what authority do they have to make medical decisions for him? Although grandparents might not need a medical power of attorney to take their grandchildren to see their regular doctor, the general rule is that grandparents must have a power of attorney to obtain medical treatment for them. A Power of Attorney Over a Minor for Medical Care gives a person the right to act on behalf of a minor child who is not yet 18 years old or otherwise emancipated. When grandparents have a POA for a child, they can consent to medical, psychological or dental treatment for the child. However, a POA can sometimes be limited to a specific purpose, such as authorizing one type of medical procedure. Some medical practices and hospitals have medical POA forms for minors available, but grandparents can also use an online legal document provider to prepare the appropriate form for their state. A parent can specify on the POA the exact decision-making power the parent grants to the grandparents. State laws vary regarding the execution of a medical POA for a minor, but in many states, the parents and grandparents must sign the POA in front of a witness or notary. If both parents are alive and either married or have joint custody, the signatures of both are typically necessary on the POA. If one parent does not have custodial rights over the child or has terminated his parental rights, that parent's signature is not needed. Parents can revoke a medical POA at any time because parental authority always supersedes a POA. The length of time a POA remains valid can vary, but it is often valid for up to six months. Parents can issue a POA for a shorter amount of time, if they choose. Additionally, a POA automatically ends with a court order or when the child stops living with the grandparents. When you become a grandchild's caregiver, you may seek a court-ordered guardianship to gain certain legal rights. A legal guardianship establishes your rights as caregiver and allows you to make child-rearing decisions normally made by the parents.